In very exciting news Sport Inclusion Australia and Deaf Sports Australia (DSA) are very pleased to confirm that they are recipients of a Better Ageing grant. This new venture covers both Australians with intellectually impairment and deaf and hard of hearing. The unique collaboration will see an Inclusion Sports Program delivering jointly created initiatives which will assist mainstream sports to be inclusive of older Australians with a disability and build the capacity of National Sports Organisations (NSOs) program delivery at all levels. Sport Inclusion Australia and DSA will work closely with Bowls Australia and Golf Australia in developing tool kits, education resources and workshops which will enhance each NSO’s workforce understanding of inclusive practices and promote better engagement initiatives for partcipants, who presently may be missing out. Deaf Sport Australia and Sport Inclusion Australia will commence planning the overall program and deliverables during May 2019 – the Inclusion Sport program will work with Bowls Australia and Golf Australia’s programs up until the end of 2020. As we celebrate International Women’s Day it is fitting to look back at some amazing women who have not just contributed but have shaped our organisation and sport in Australia to be inclusive and respectful of all Australians. The founder of AUSRAPID and its President for its first 25 years, Marie was the driving force behind AUSRAPID and the fight for inclusion. Marie sadly passed away in 2014 and was posthumously admitted to the INAS Hall of Fame in 2015. Marie worked tirelessly to improve the lives of people with an intellectual disability. Her vision on integration was ahead of her time and has ensured that people with an intellectual disability who don’t always achieve in the education or employment areas have experienced success and a sense of belonging in the community through their involvement in mainstream sport. Marie espoused the philosophy to open mainstream sporting and recreation services to all Australians regardless of their ability and this philosophy is now adopted by Sport Australia, Paralympics Australia and many National Sporting Organisations. She lobbied many government agencies seeking support of her visionary philosophy and presented numerous papers at International conferences. Marie was also the first female to be elected to the International Paralympic Committee, IPC in 1993 and was the first female to be President of the Australian Paralympic Committee in 1997. Marie was acknowledged with a Medal of the Order of Australia for her services to Sport and people with a disability. Known as “The Cheetah” for her speed and affinity with the worlds fastest land animal, Lisa dominated the sport of Athletics at the 2000 Olympics winning 3 Gold and one silver medal. During the Long Jump competition Lisa broke the world record on three occasions. Lisa also competed at the IPC Athletics World Championships, INAS Global Games and INAS Athletics World Championships adding to her impressive medal tally at every event. The Australian Paralympic Committee described her as “Australia’s most outstanding female athlete with an intellectual disability”. In 1997, Lisa was awarded the Australian Capital Territory Female Sportstar of the Year award and Young Canberra Citizen of the Year. Lisa was inducted into the ACT Sport Hall of Fame in 2015 and the INAS Hall of Fame in 2016. 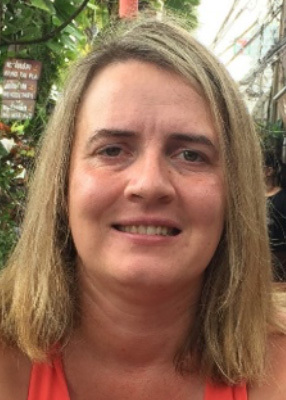 Following the ban in 2000 and no pathway to the Paralympics, Lisa retired from Athletics as she felt that there was nothing left for her to achieve in sport. Lisa took up Ballet and works at the Canberra Zoo where she keeps a close eye on the resident Cheetahs. The former INAS World record for the Long jump and high jump events, Lisa remains the INAS World Record holder for the 200m, 15 years after her retirement. No one has dominated the swimming pool like Siobhan Paton. In 1997 she competed at the INAS-FID Games winning seven Gold and one silver medal. At the 2000 Summer Paralympics in Sydney, Siobhan won six gold medals and set world records on nine occasions in the process. At the 2004 INAS Swimming World Championships Siobhan won 14 Gold and three silver medals an amazing feat. Later that year competing at the 1st INAS Global Games Siobhan won another 3 Gold, 2 Silver and 2 Bronze medals. 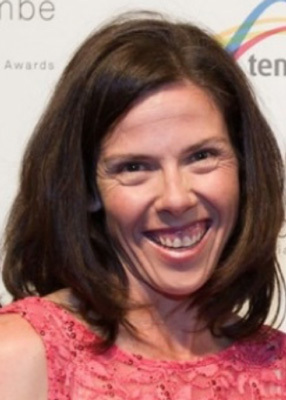 In recognition of her achievements, the Australian Paralympic Committee named her “Paralympian of the Year” in 2000, and she was honoured on a postage stamp. She was also awarded a Medal of the Order of Australia, an Australian Sports Medal and inducted into the ACT Sport Hall of Fame in 2013. Kim Larkin first started playing Basketball at the age of 8, at 17 she was representing Australia, and 4 years later she was appointed captain. It didn’t worry Kim that she was often the shortest player on the court, as the point guard she was in command and was reknown for having one of the sweetest three point shots. Kim didn’t just lead the team on the court but off as well with her commitment to fitness and training. That commitment to fitness saw Kim also represent Australia at the 2005 INAS Athletics World Championships in Canberra. Kim wore the green and gold on the Basketball court for 16 years during which time the team never finished outside the medals at an INAS World Championship or Global Games event winning 5 Silver and 4 Bronze medals. ‘Kim is the person that you want to get the ball to when it comes to the crunch’ according to Sally Duncan, Australian Pearls Team Manager. In 2004 she was named in the Point guard in the World All Star team. Kim has also been acknowledged for her services to sport with a Medal of the Order of Australia. Playing with her home state of Victoria at the Ivor Burge Basketball Championships Kim won 11 Gold and 3 Silver Medals, and in 2010 Kim was acknowledged by Basketball Victoria as their “Most outstanding athlete with a disability Award”. Sport Inclusion Australia has been blessed to have had such magnificent leaders and role models helping shape the organisation and sport in Australia helping to create opportunities for all athletes. As we move forward women continue to have a major role within the movement, women such as our CEO of 28 years Robyn Smith, a passionate advocate for inclusion and opportunities for all. Mentored by Marie over many years Robyn continues to lead with passion and energy and while Marie has now gone, Robyn doesn’t need to look far for strong, capable and passionate women. Women such as Helen Croxford (President), Soon to be Basketball Hall of Fame inductee Lorraine Landon (Board Member), Jo Connolly SASRAPID and Cricket Australia Team Manager, Cathy Wilson Life Stream Australia CEO, Basketball team Manager and outstanding volunteer Sally Duncan and athletes of the calibre of Kelly Wren (8 times INAS World Champion and winner of the past 22 Singles titles at the Australian Tennis Championships, Jade Lucy winner of 9 medals (4 Gold, 4 Silver and 1 Bronze) at the recent INAS Swimming World Championships and Nicole Harris who has represented Australian in Basketball, Athletics and Skiing where she has won several INAS World titles. These are just a few of the outstanding women leaving their mark shaping sport and inclusion in Australia. Todays young athletes and administrators do not have to look far for role models on and off the sporting field. She has been described as Basketball Royalty, and on the 10th of May our very own Lorraine Landon will be inducted into the Basketball Australia Hall of Fame. Lorraine’s basketball career spans 30 years as a player, coach and administrator at the highest level and includes Olympics, World Championships, and Paralympics. There is rarely enough hours in the day for the Sydney Kings Manager, who despite her busy work schedule always finds time to assist others and is always available with advice when called upon. With someone of the calibre of Lorraine Landon on the Board of Sport Inclusion Australia and the Global Games Sports Company we are in good hands. Congratulations Lorraine Landon, you have made a difference to the lives of so many at all levels, it is wonderful to see you acknowledged for your contribution. Sport Inclusion Australia has announced Ms Helen Croxford as their third President following the recent election. 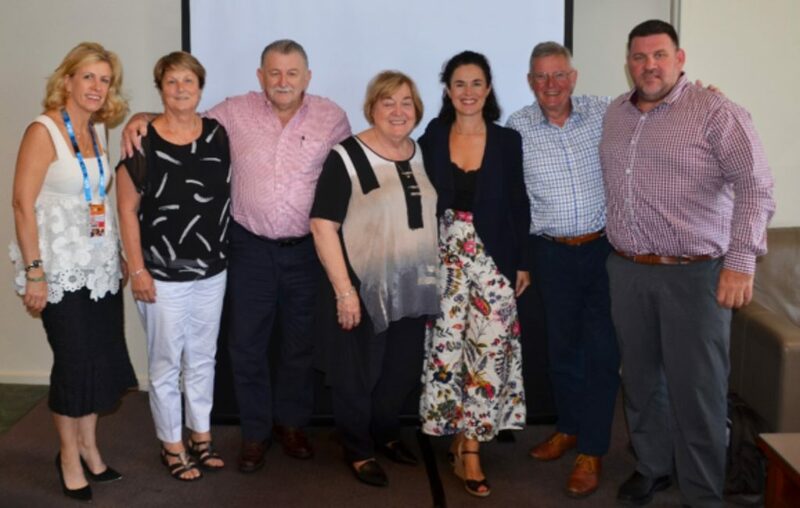 “It’s an honour and privilege to work with the members on the Sport Inclusion Australia Board over the past 3 years, I would like to thank Wayne Bird for his outstanding leadership and thank the Board for putting their faith in me as President.” Croxford said. The first meeting following the Annual General Meeting in November 2018, the Board elect their President and Finance Director from within the existing Board Directors. 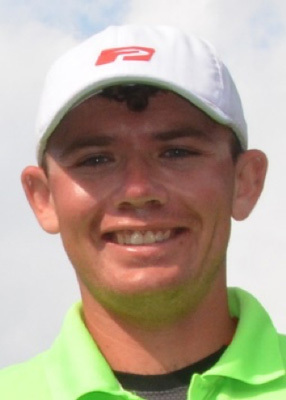 Sitting President Wayne Bird had announced that he would not be standing for re-election after 7 years in the position and nominated Croxford to take over the reigns of the organisation. 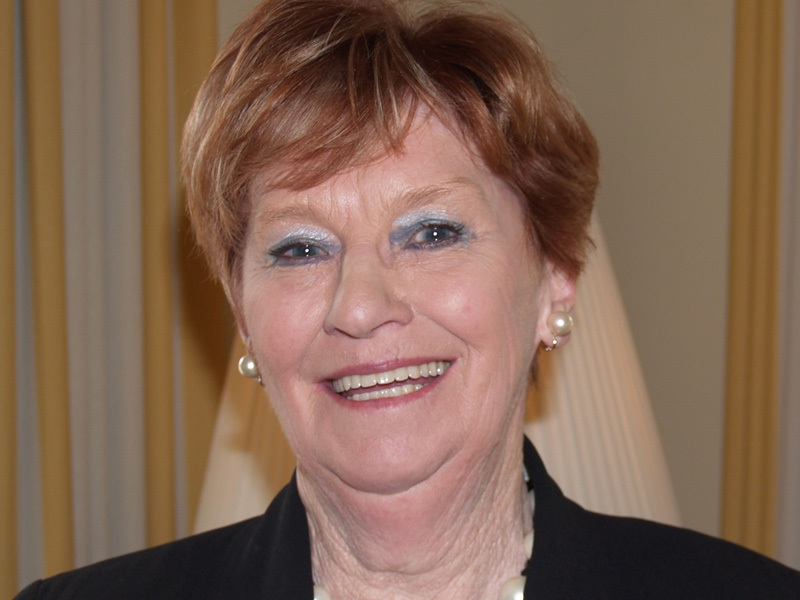 Bird was the second President of the organisation following the retirement of founder Marie T Little OAM in 2011. During his time as President Bird has seen many changes within the organisation, least of which was a change of name from AUSRAPID to Sport Inclusion Australia. “People often asked what AUSRAPID stood for, we worked hard to come up with a name which better represented who we were and what we did.” Bird said. Bird also spent time on the International Organisation INAS as the Oceania delegate for 5 years. With increased work commitments, Bird decided it was time for someone else to take on the role and was very pleased to have a candidate of the quality of Croxford within the existing Board. 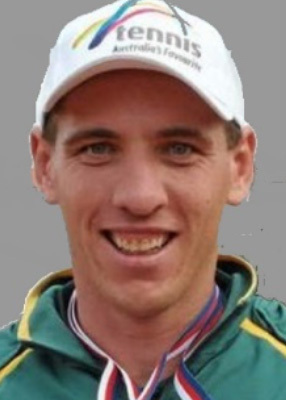 Croxford has been a member of the Sport Inclusion Australia board for the past 3 years and also sits on the Global Games Sports Company Board. With over 25 years experience in senior management roles with local government in the leisure, facilities planning, aged care, youth and children and disability services, Croxford is well experienced for the role. The 1997 winner of the Frank Stewart Distinguished Service Award, Croxford also volunteers at Cabrini Hospital and Beyond Blue. With her wealth of experience working in local government, and the disability sector it is safe to say that Sport Inclusion Australia is in good hands. 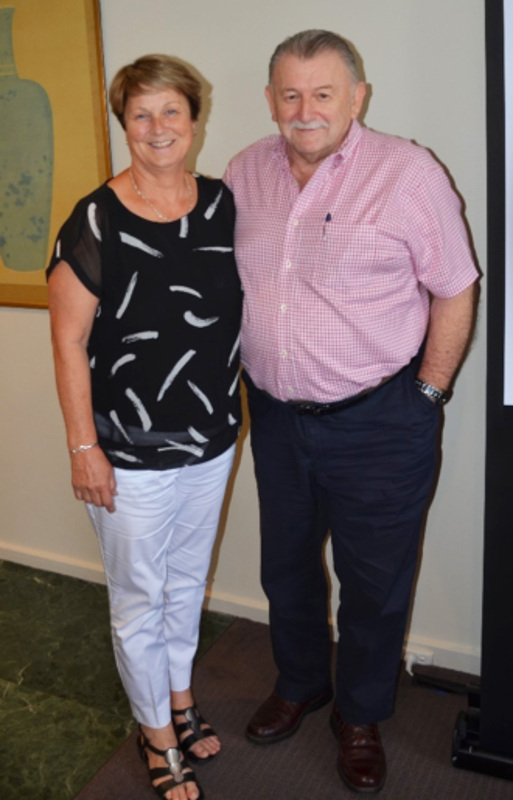 Rob Peak was re-elected as the Finance Director, with Ms Jaquie Scammell appointed to the vacant Board position, following the retirement of Allan Clarke. Scammell comes from a Customer service background where she had previously crossed paths with Sport Inclusion Australia during her time as Customer Relations Manager at Tennis Australia and the Australian Tennis Championships. Scammell now runs her own business where she is focussed on helping organisations develop a service mindset and culture. Marie Little, Steve Moneghetti and Wayne Bird in 2011 after being elected as President. As a young girl growing up in regional Victoria with 5 sisters and a brother, Caytlyn Sharp didn’t get a lot of choice, on which sport she was doing on the weekend. The family did Little Athletics and in those early years, Caytlyn is the first to admit she hated it and wasn’t backward in letting people know. You see Caytlyn also has autism, and it was the sensory side of autism that dominated Caytlyn’s early years, the smell of fresh cut grass, crowds yelling and cheering, clapping and the fright of the starters gun. Most athletes thrive on the cheering and clapping, but for a young girl with autism these can be extremely hard to handle. Even today the 2017 INAS High Jump World Champion is challenged by excessive cheering and clapping. “Its hard for Caytlyn to get away from the cheering and clapping as these are integral to sport and Caytlyn’s events in particular.” Said Caytlyn’s mum Cindy McDougall. “We work on this at training and make every effort to familiarise ourselves with the venues prior to competition when Caytlyn travels” McDougall said. Little athletics has actually proven to be the ideal sport for Caytlyn, she soon came to love the sport and with the focus on personal bests, she soon learnt to shut out other distractions. In a short time frame, Caytlyn started to establish herself as an athlete, she found success at local and regional level and qualified for State Championships, but it was at state level, that she first realised that she couldn’t compete against the best able bodied athletes, coming last in most events. 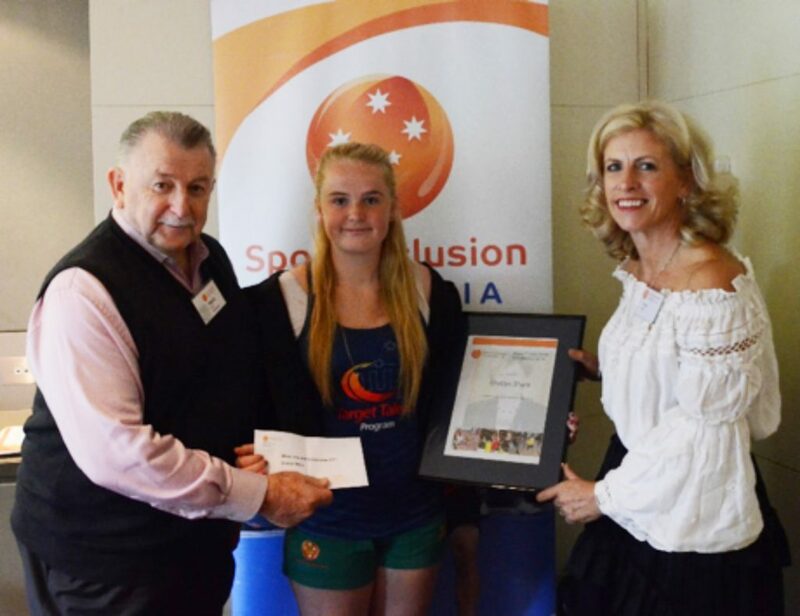 In 2015 Caytlyn competed at the School Sports Victoria (SSV) State Championships and also the Australian All School Championships in multi class Para events. Caytlyn was soon to learn another very difficult lesson – “Finishing first across the line didn’t guarantee a first placing”. 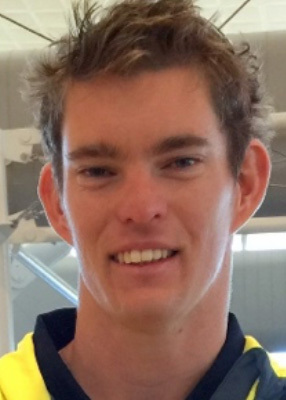 In Multi class events every athletes performance is calculated as a % in their particular class, and it is the highest % that wins, something many athletes struggle to comprehend, but even more so when you have intellectual disability and have just broken an Australian record, and then you don’t even win a medal. After competing at the SSV State Swimming Championships the All Schools National Cross Country and Athletics Australia National Track and Field Championships that same year, Caytlyn soon began to feel at home in the Para world, training with and competing against other Para athletes some of whom were Paralympians, people started to assume that she too was destined for the Paralympics. “I knew the Paralympic pathway was very limited and didn’t include my events, which was frustrating as other athletes had choices. If that’s all that the Paralympics is offering then I don’t want to do it” Caytlyn said. 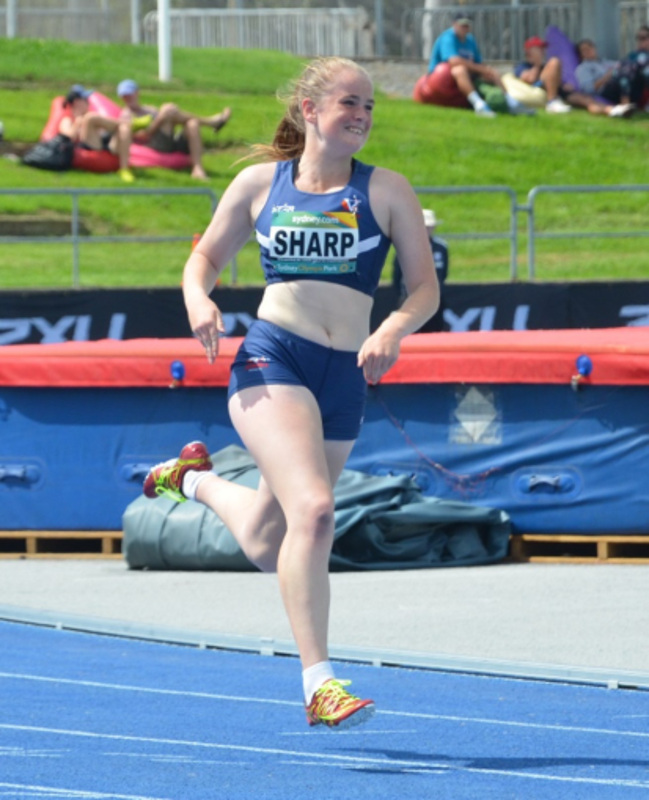 The 2015 Australian All Schools became a turning point in Caytlyn’s athletics career, as it was her performances here that brought her to the attention of selectors. Shortly after the Championships Caytlyn received a letter stating she had qualified for the 2017 INAS Athletics World Championships. Caytlyn couldn’t believe she might be selected in an Australian team and further that she could do her favourite events, and that she, like other Para athletes had choices. “Does this mean that I can represent Australia and I can do any event I want, is this really a thing?“ Caytlyn asked. 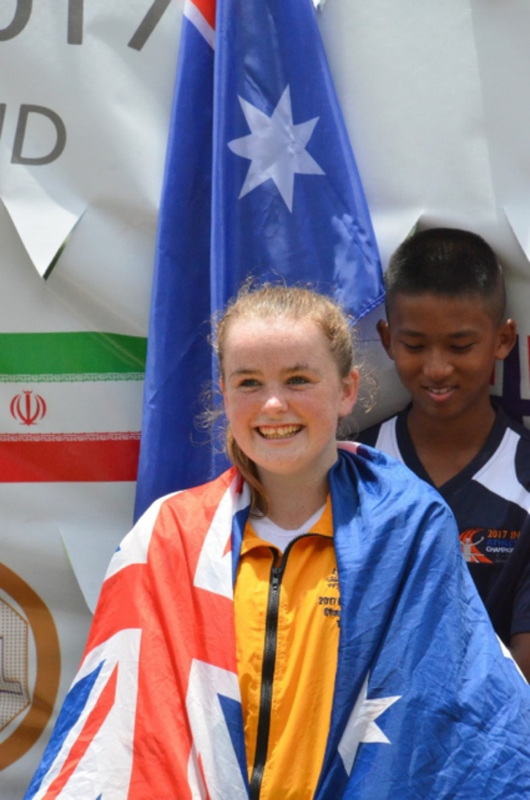 At the age of 14 Caytlyn Sharp represented Australia at the INAS Athletics World Championships in Bangkok. It was a lot to take in for the young athlete, representing her country, travelling overseas, away from family and friends and the fear of the unknown, but with her coach Anula Costa and many athletes she knew and trained with also in the team, Caytlyn was up for the challenge, a challenge mum wasn’t going to let her miss. Caytlyn won her first medal, a bronze, in her very first event the triple jump, two days later she won the women’s high jump and followed up with a Bronze medal in the women’s 4 x 100m relay. Not a bad effort for a 14 year old from Regional Victoria on her first trip overseas. Returning home Caytlyn was surprised by the attention, interviews with local papers, speaking at school and local organisations such as Lions and even a radio interview after winning an award. She really didn’t like having to try to stand and talk in-front of people, who would ask her questions, and would expect her to answer them and remember everything. Caytlyn had also been bullied at school prior to the Championships and after returning found that this just made some people more jealous and that some people didn’t believe her when she said she was a World Champion. Now too old for Little A’s, Caytlyn competes for Eureka Athletics club in Ballarat. “They really support multi class and don’t treat me differently, but still recognise multi class athletes.” Caytlyn said. Caytlyn also mentors children at the local Terang athletics Club and Warrnambool Little athletics Centre. Caytlyn doesn’t want to be labelled as an athlete with Autism or disability, but just wants officials to acknowledge her during competition and be able to communicate with her. At times Caytlyn can struggle with the communication, particularly when things don’t go right, shedoesn’t always know what to say or who to talk to. It has been more than 12 months since she made her first trip overseas and she now has her eyes set on the 2019 INAS Global Games in Brisbane where she hopes to compete in the High jump, Triple jump, long jump and the 200m. A member of the South West Academy of Sport, Caytlyn is now coached by former New Zealand athlete Jeremy Dixon. The road to the Global Games in Brisbane will be a long one with and her siblings clocking up more than 700kms a week in travel to training and competition, but it’s a trip that there while family are willing to take, to help Caytlyn achieve her dreams. 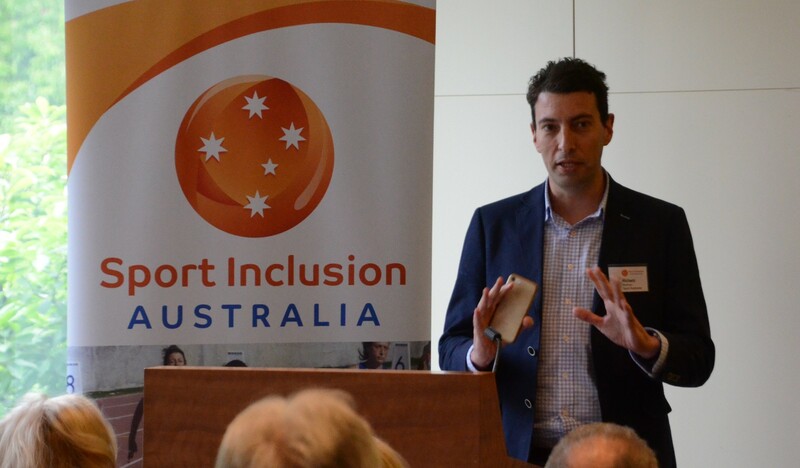 Sport Inclusion Australia conducted its 33rd Annual General Meeting and a National Inclusion Forum last week. Held at Cricket Australia headquarters in Melbourne the AGM and Forum were well attended by State and National sporting organisations along with other key stakeholders and partners. In his President’s report, Wayne Bird acknowledged all involved with Sport Inclusion Australia in the past year and particularly thanked the Sport Inclusion Board Directors for their vision and foresight. CEO Robyn Smith was again thankful for the input of all partners and stakeholders to the ideology of inclusion in sport based on ability and choice. Finance Director Rob Peak thanked Mogg Osborne and Co for their loyalty and amazing service over many years and Kellie Keen for her work with the finances. President Wayne Bird and Board member Aaron Morse (WA) were both re-elected for a further 3 year term. Patron Steve Moneghetti OAM was in attendance and took the time to meet with representatives and even have a few photographs with attendees. The National Inclusion Forum followed the AGM with a welcome address from Cricket Australia’s Belinda Clark. Clark welcomed all to the Cricket Australia offices and outlined Cricket Australia’s vision of cricket being a “Sport for All” and their ambition to make cricket the number 1 participation sport in Australia. Victoria’s Caytlyn Sharp was provided an athletes perspective discussing her athletics achievements and challenges to be the best she can be in her events. Following her talk Sharp was surprised by the presentation of the Marie T Little OAM Champions Scholarship by President Wayne Bird. The scholarship given in the name of Ausrapid founder Marie T Little OAM is to assist athletes and or officials in their development. 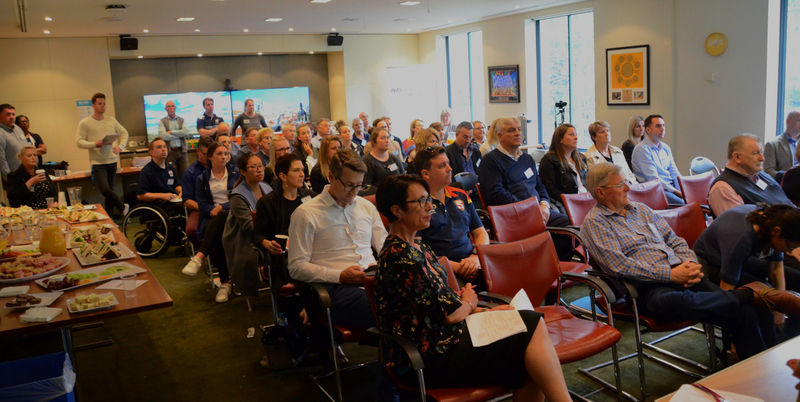 The forum provided an opportunity to hear from guests speakers on a range of topics, a chance to network with other sports and organisations within the disability sector and workshop key topics. 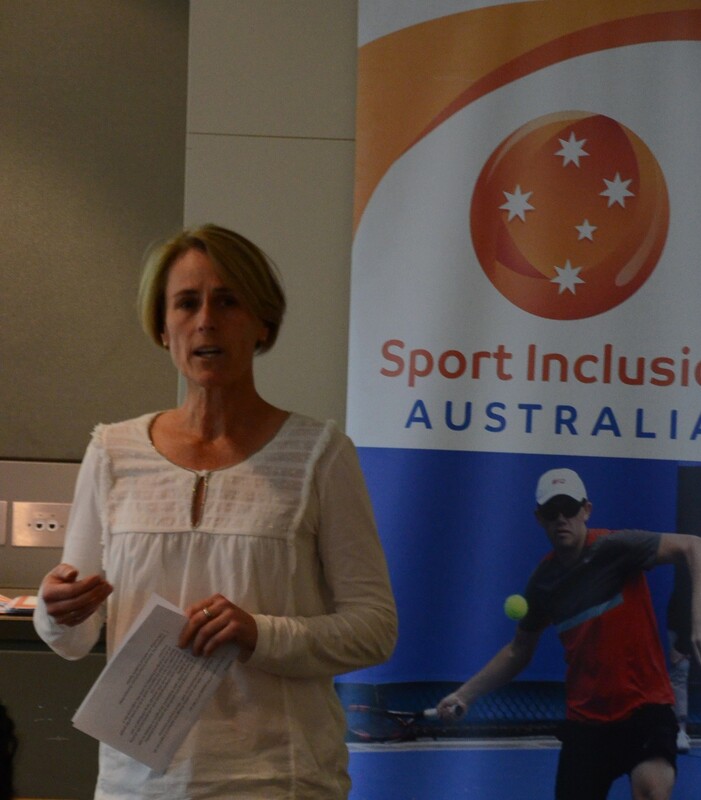 Robyn Smith, CEO Sport Inclusion Australia – Sport Eligibility for Athletes with an intellectual impairment. 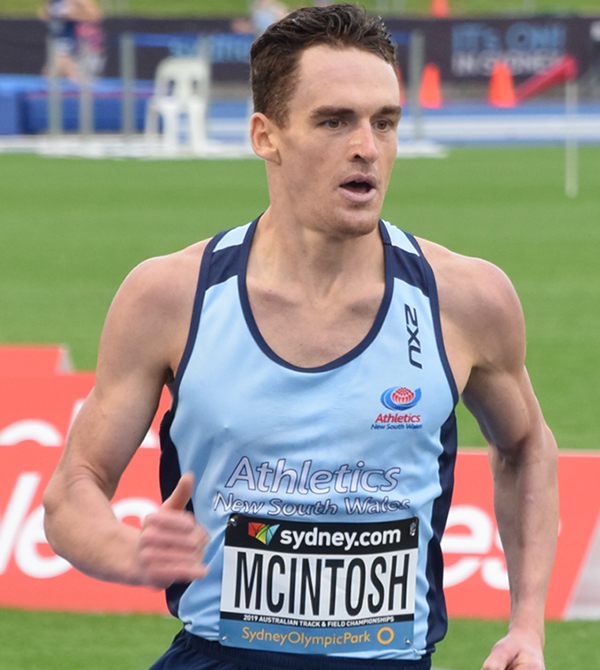 Sport Inclusion Australia announced today the team to represent Australia at the 2018 INAS World Half Marathon Championships in Coimbra, Portugal. The team of 6 athletes and a coach all hail from Victoria and will be Australia’s first representatives at the Championships. 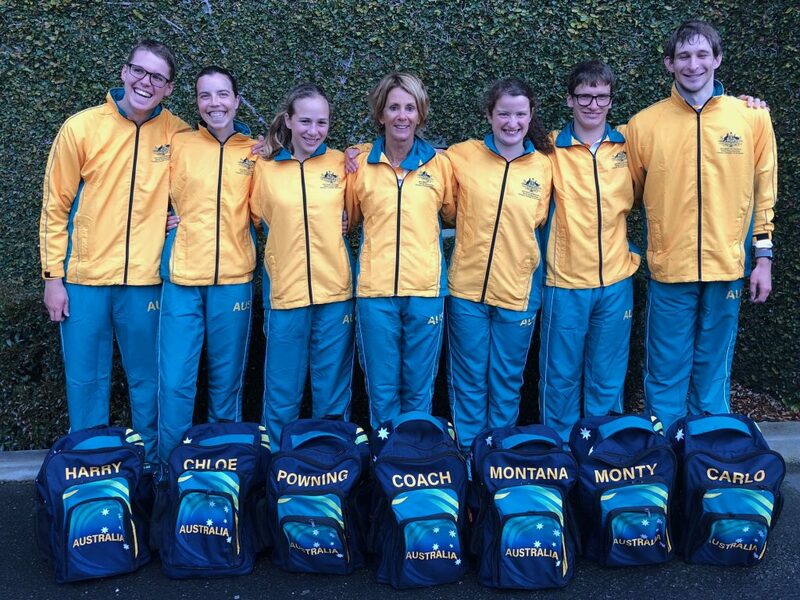 Harry Mezger, Carlo Manolitsas, Montgomery Cooper, Georgia Powning, Chloe Turner and Montana Whiteley are coached by Liz Gosper in Melbourne and will take on the gruelling 21.1km event wearing the Australian uniform for the first time. The championship for athletes with an intellectual impairment is being run in conjunction with an annual mass participation event that is expected to see a field of over 7,000 competitors running through the historic city of Coimbra. A large number of athletes from 8 countries (Australia, Brazil, Italy, Japan, Poland, Portugal, Spain and the USA) are expected to compete in the INAS World Championship events. Australia has sent Athletics teams to all INAS Athletics World Championships but has not competed in the winter cross country and road running events. The 2018 INAS Half Marathon Championships will be run on Sunday 21 October. 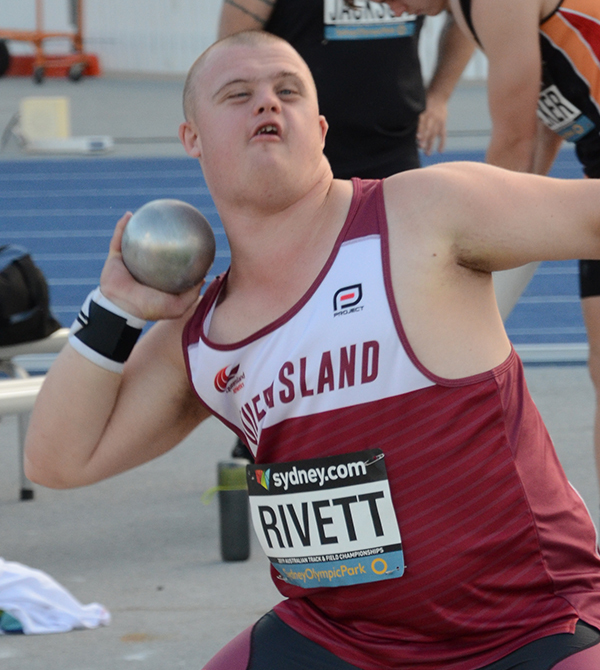 “It is very exciting to see these athletes selected to represent Australia in this World Championship.” said Sport Inclusion Australia CEO Robyn Smith. Athletes will not only be competing for individual honours, but with 3 male and 3 female athletes they will also be competing in the team competition as well. All athletes compete for the Old Xavier’s Athletics Club in Cross country and track events in Australia as well as some cross training in triathlon and swimming events. At the recent Australian Cross Country Championships on the Sunshine Coast Mezger (19) and Powning (19) finished second in their respective events. A fitness teacher at Ashwood School and founder of Inclusive Sports Training, Gosper has been working with athletes with an intellectual impairment for a number of years, through her training group she has introduced athletes to a range of sports and competition pathways. Gosper has been appointed as Head Coach for the team. “Since we identified the opportunity to compete in this event and represent Australia all of the athletes have been focussed on just one thing, their commitment to training, competition and preparation has been outstanding” Gosper said. 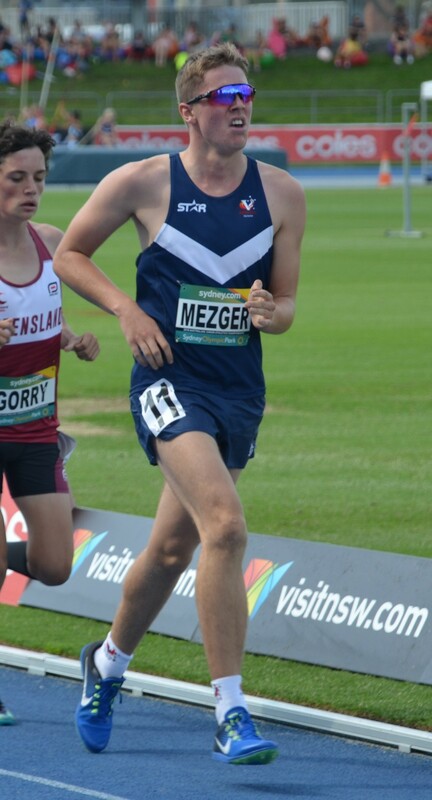 Mezger is a current member of the Athletics Victoria talent id program as a middle distance runner. During the off season he runs cross country and competes regularly in triathlon and swimming events. 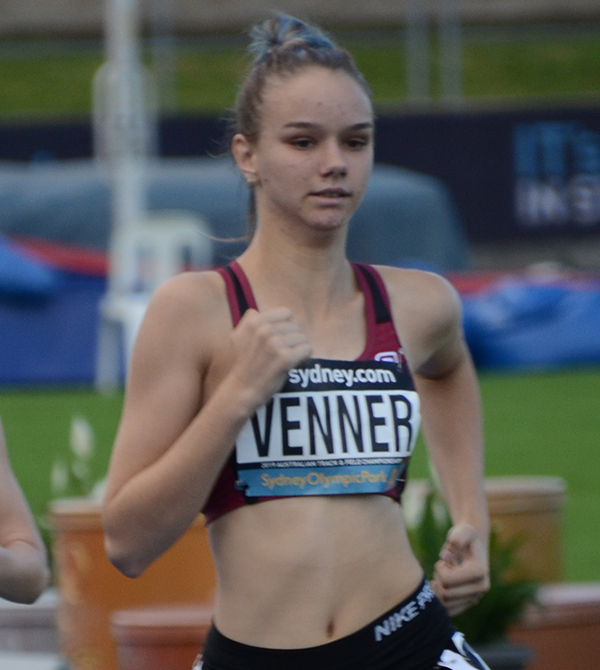 Mezger also medalled on the track at the Australian junior Championships earlier this year in Sydney. When the opportunity came up to represent Australia Mezger grabbed it with both hands and has been focussed on the half marathon event ever since. “I love running and I have loved every training session, even the long dark wet runs through winter. We just called them adventure runs which gave us a great attitude to just keep pushing rain, hail , puddles whatever was thrown at us.” Mezger said. Powning also a medallist at the Australian Junior Track and field Championships and Australian under 20 5000m record holder has stepped up her training in preparation for the Championships, “I have been training six days a week, running and cross training with my coach and my friends. I have learnt to eat the right kind of food and cannot wait to represent Australia for the first time.” Powning said. For Montana Whiteley and Montgomery Cooper it will be a family affair as Montana’s father and Montgomery’s mother are also travelling and will be taking part in the Open Half Marathon event run by Global Sport. The athletes preparation under Gosper’s guidance has not only seen them complete a gruelling training program that includes cross training in swimming and duathlon but they have also undergone physiological testing and strength training to ensure that each athlete is in the best physical condition for the event. That visited a 3D running lab at the start of training to check their shoes and gait. This was very beneficial and the athletes are confident they are in the correct shoes. While this will be the first half marathon for each athlete (other than Turner), they will go into the event full of confidence having committed to a lengthy training program that has left no stone unturned. The team departs on the 14th of October and competes on Sunday 21 October. 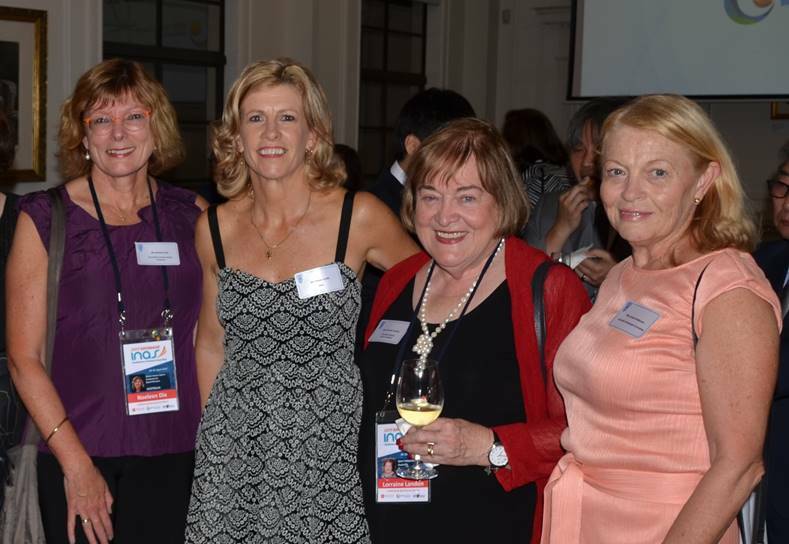 Australia’s Robyn Smith and Taylor Corry represented Australia at the INAS Asia Annual General Meeting and 40thAnniversary Celebrations in Hong Kong during the week. 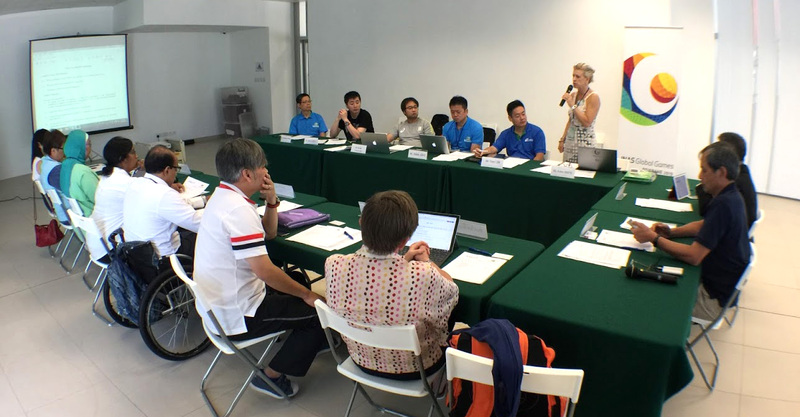 Smith the CEO of Sport Inclusion Australia and the Global Games Sports Company was invited to Hong Kong to address the INAS Asia member organisations on the progress of the 2019 INAS Global Games, INAS Oceania and INAS Asia relationships and attend the eligibility workshop. 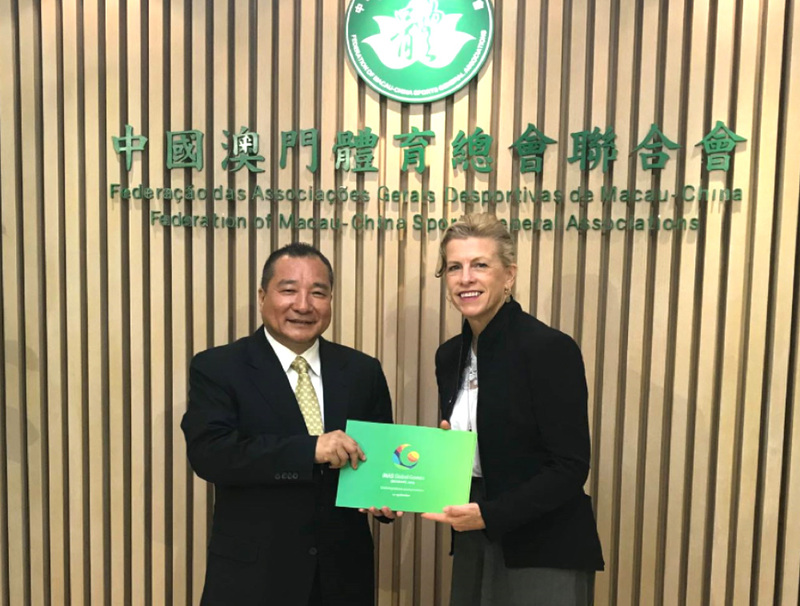 Global Games Sports Company CEO Robyn smith presents the 2019 INAS Global Games Brisbane Prospetus in Macau. Sport Inclusion Australia has been working to develop opportunities within Oceania and Asia for athletes with an intellectual impairment for several years. 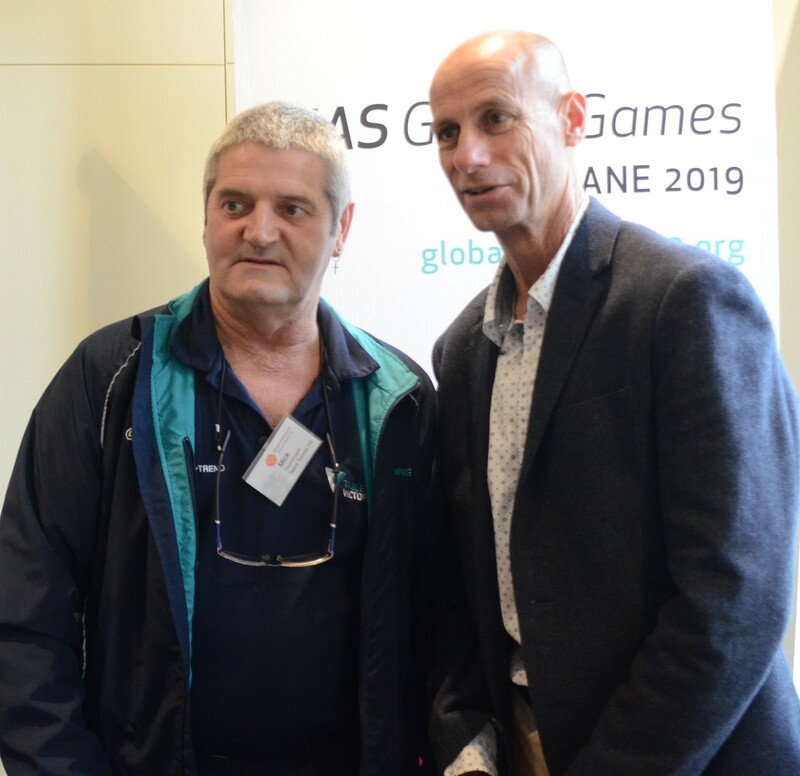 The upcoming 2019 INAS Global Games in Brisbane has provided a platform to continue this work. “We had a major breakthrough in China last year and this week we were able to spend time with National Paralympic representatives from Sri Lanka to assist them with their eligibility requirements. We are very hopeful that we will see athletes from China and Sri Lanka competing for the first time in INAS events at the INAS Global Games in Brisbane in 2019” Smith said. 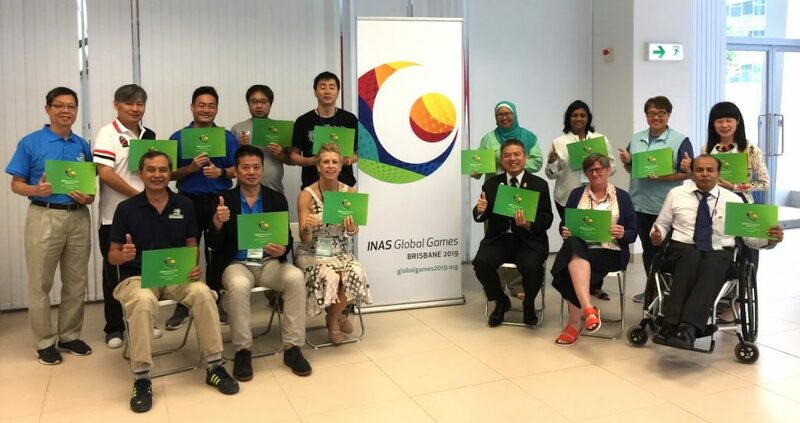 Smith was in demand as representatives from Macua also took advantage of her presence in Asia to invite her to address Government representatives on the importance of the 2019 INAS Global Games. “It has been a very exciting few days, seeing the genuine excitement about the 2019 INAS Global Games and the willingness of each member organisation to develop teams and provide opportunities for athletes” Smith said. 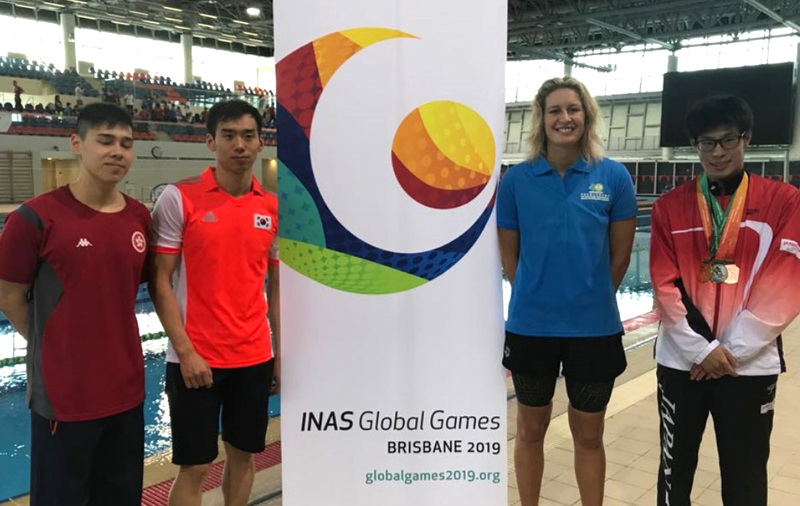 Taylor Corry helps promote the 2019 INAS Global Games with Para swimmers from Japan, Hong Kong and South Korea at the INAS Asia 40thAnniversary Celebrations in Hong Kong. “It was a great honour to be invited and to represent Australia in these events celebrating diversity and inclusion” Corry said. Corry along with her coach Simon Watkins were the only Australians invited to the swimming events. Tennis Australia have today announced the players to represent Australia at the 2018 INAS Tennis World Championships. To be held in Paris in July the INAS World Championships will bring together the best tennis players from around the World with an intellectual impairment. The Australian team includes current INAS World Champions Archie Graham (Mens Singles), Kelly Wren and Carla Lenarduzzi (Women’s Doubles) and Wren and Damian Phillips (Mixed Doubles). Queensland’s Graham, will be vying for his 4thconsecutive World Singles title having won in Ecuador (2015), USA (2016), and the UK (2017). While NSW’s Kelly Wren will be looking for singles title number 7. Wren won 6 consecutive titles before losing the last two titles to Belgium’s Hanna Lavreysen. Between them Wren and Graham have amassed 25 INAS World Championship titles across the Singles, Doubles and Mixed Doubles events as well as numerous Teams titles. Wren on her own having a personal tally of 19 titles. Graham will turn 25 during the Championships with the possibility of celebrating another World title on his birthday. The 2018 Australian team will include all members of the winning team from the 2017 INAS World Championships in Bolton, UK. 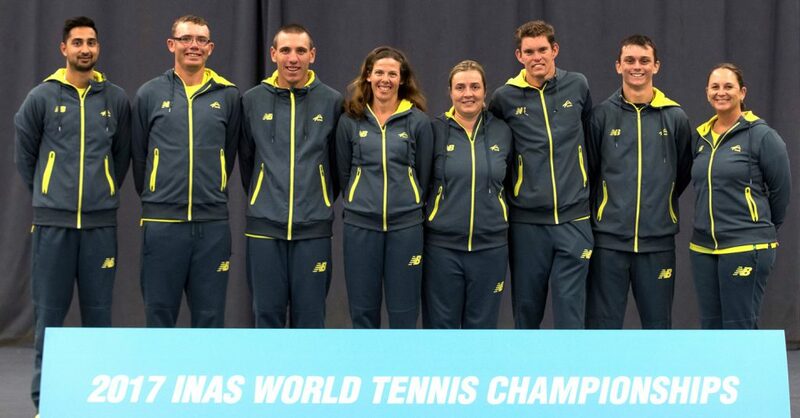 Australia have dominated the INAS Tennis World Championships for many years. With the exception of Queensland’s Joshua Holloway all team members have experienced winning a World Championships. Holloway has 2 silver medals and a bronze to his name, and as the current Australian Doubles Champion (with partner Mitchell James) will be hoping to capture that elusive Gold in Paris. The Championship will be held from the 14th to the 22nd of July, with the team departing on the 13thof July following a 2 day training camp in Brisbane. Player contact details on request. 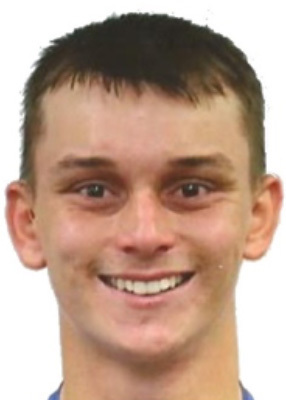 Australian Tennis Championships Mens Doubles: 2011 (Rudoy), 2013 (2ndRudoy), 2014 (2ndGraham), 2015 & 2016 (Graham), 2017 (2ndGraham), 2018 (2ndGraham).